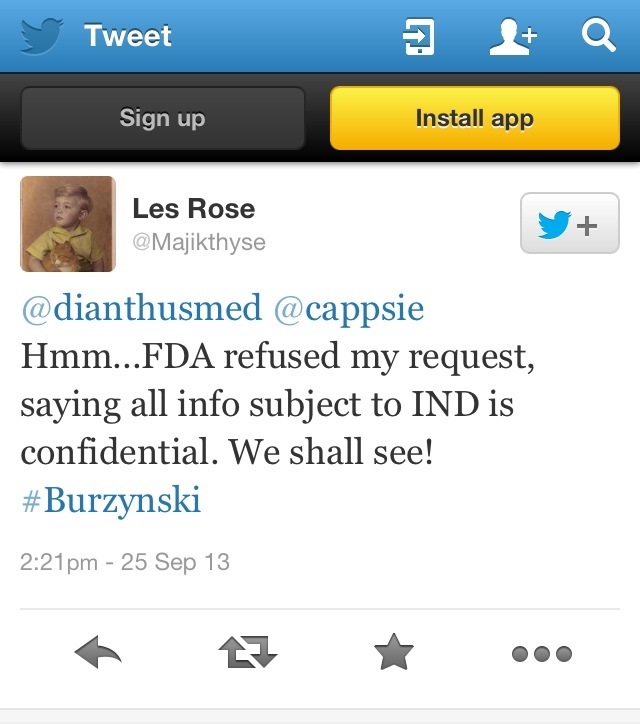 This entry was posted in critique, critiques, critiqued, critiquing, The Skeptics and tagged "CHAPTER I--FOOD AND DRUG ADMINISTRATION DEPARTMENT OF HEALTH AND HUMAN SERVICES SUBCHAPTER F--BIOLOGICS", "Code of Federal Regulations", "Confidentiality of data and information in an investigational new drug notice for a biological product", "Les Rose", "PART 601LICENSING", "Sec. 601.50", "Subpart F--Confidentiality of Information", "The Skeptics @Majikthyse reveals madjik research skilz", "Title 21, "TITLE 21--FOOD AND DRUGS", #FAIL, 21CFR601, @cappsie, @DianthusMed, @Majikthyse, Burzynski, confidential, FDA, Food and Drug Administration, http://www.accessdata.fda.gov/scripts/cdrh/cfdocs/cfcfr/CFRSearch.cfm?CFRPart=601&showFR=1&subpartNode=21:7.0.1.1.2.6, https://twitter.com/Majikthyse/status/382947974143160320, IND, The Skeptics, Volume 7" by didymusjudasthomas. Bookmark the permalink.